Tibi's skirt taps two of the biggest trends of the season - gingham and mini hemlines. 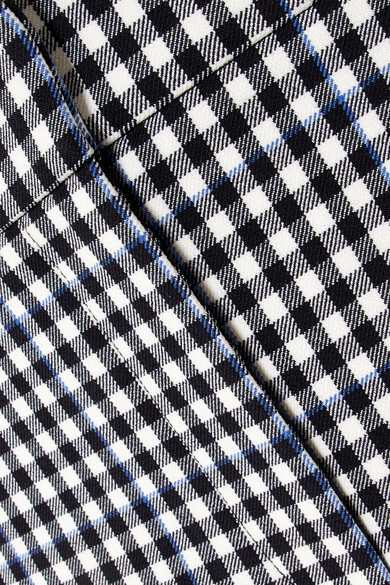 This A-line style is cut from monochrome twill that's outlined with subtle blue checks. Call out the white tones with mules in the same shade. Shown here with: Co Sweater, SIMON MILLER Clutch, Diane von Furstenberg Mules.